I just love getting together with family and friend over the holidays. I've got what I consider to be a very close-knit family. I may be an only child but I've always felt like a part of something bigger. Perhaps it's my Hispanic heritage that binds it all together but holiday memories for me are lots of aunts and uncles and even more cousins, catching up, playing games and mostly...EATING! I thought it'd be fun to create a recipe box, using the Little Yellow Bicycle Once Upon a Christmas collection they sent me. I think this would be a great gift for family members so we can capture all the recipes and each have our own set. It would be even better to have each family member write their recipe in their handwriting so we can capture that part of them as well. 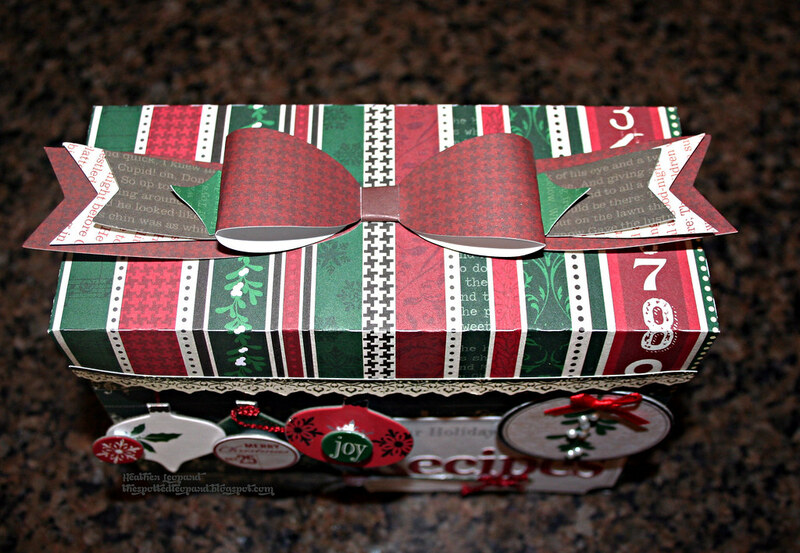 Creative How-to: I used a recipe box cutting file from Lori Whitlock via the Silhouette store. I cut all the pieces out with my CAMEO and once assembled, I added the journaling card, "Recipes" word that I wrote and cut from my CAMEO and mistletoe. I embellished the lid with the pretty sticker trim from the Favorite Pieces Stickers and then hung the ornaments from the inside of the lid. The top of the box needed a pretty bow, for sure! The paper crafting kit is full of different sized bows, flowers, banners, etc. The inside has tabs to separate the various categories. I also added several blank cards. I am hoping to get my family members to write their recipes during this holiday season. Keep reading: Not sure if you spied the recipe card I wrote in the photo at the top. It's for Chocolate Crinkles. 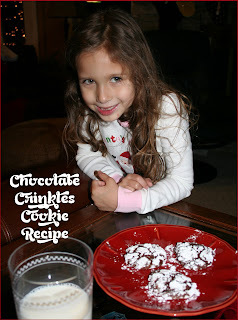 I don't know who made this recipe but I remember making dozens and dozens of them as a child for a cookie exchange we would do with the family. All the aunts (my great aunts, actually) would get a big tin of cookies from all the nieces and nephews (my mom, my aunt, their cousins, etc). I couldn't even begin to count how many people that would be. Anyway, I remember making these cookies each year and now I make them with my kiddos. These are the cookies we leave out for Santa, with his glass of milk. Add 4 eggs, one at a time and mix. Bake at 350 for 8 minutes, no more or they will be overbaked. 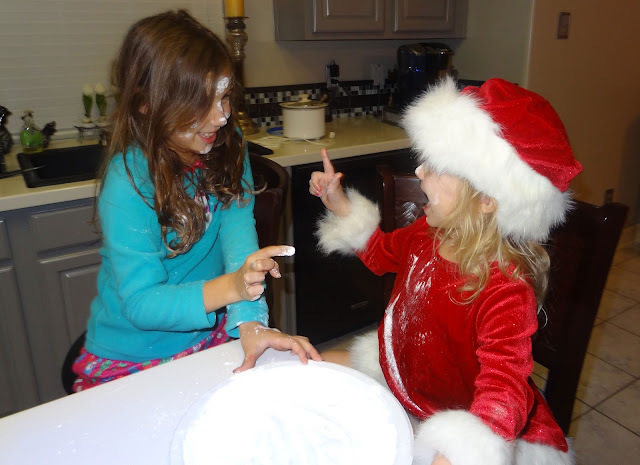 As you can see, we have fun with the powdered sugar after we are done making the cookies with it! I love your recipe box. 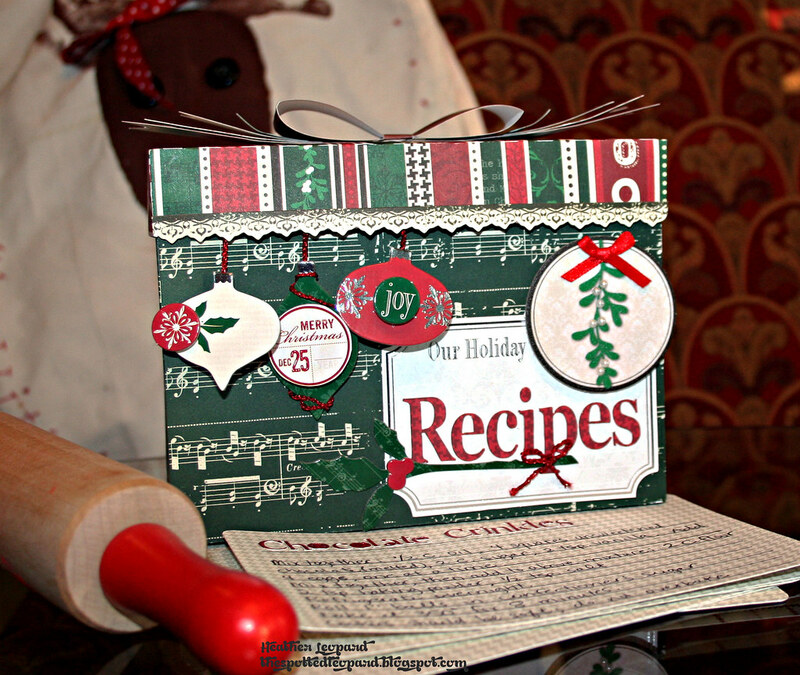 I am planning on doing a Holiday Recipe 8x8 album of recipes. Crossing my fingers. Your Mom and I made dozens of these and other cookies as a gift for our aunts at Christmas. I still make them every year and they have been known to disappear from the freezer where I hide them! 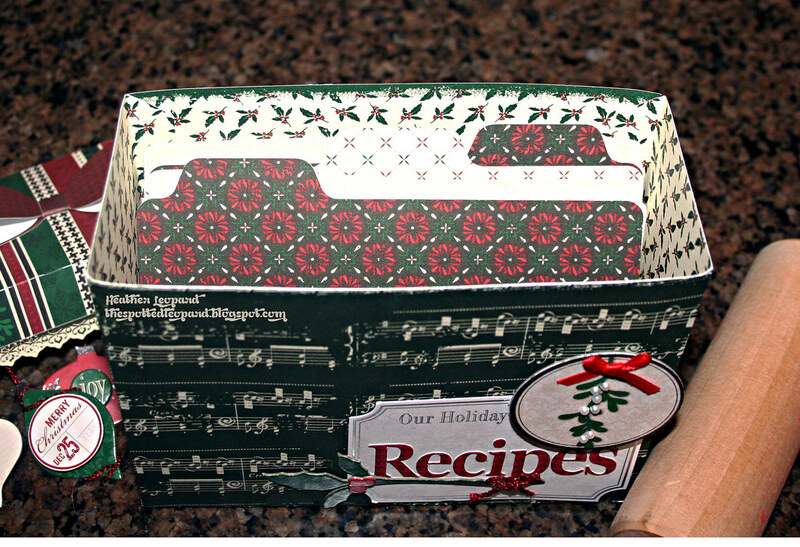 Such a fun recipe box. Great bow on top! The recipe sounds delicious!